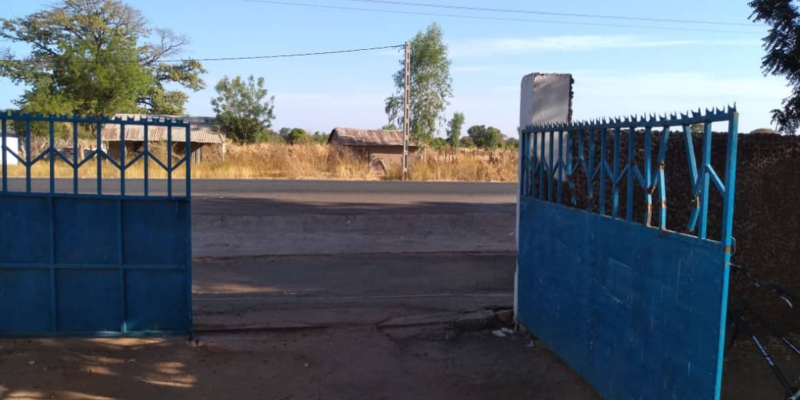 Finally: Jahaly Health Centre connected to power grid - Projekthilfe Gambia e.V. 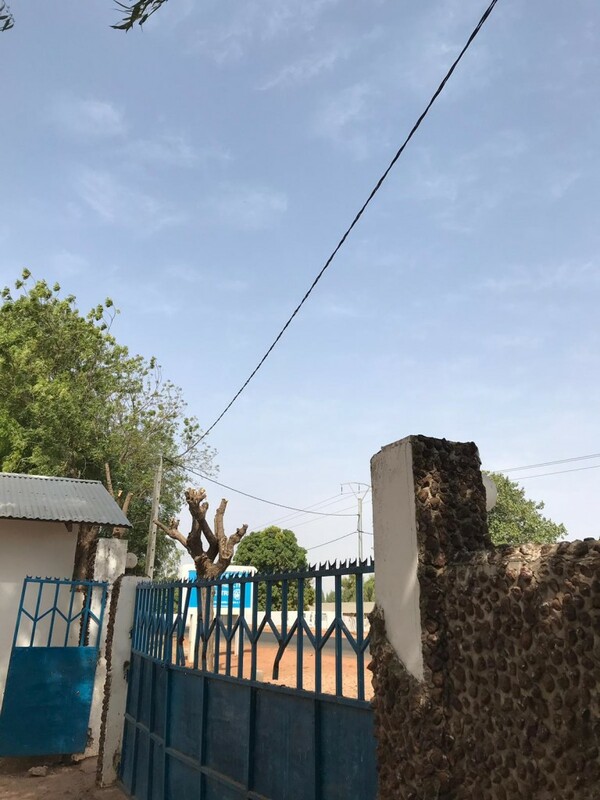 It is a milestone in the history of Jahaly Health Centre: since February 15th, 2019, almost 28 years after the opening, the project compound has been connected to the public electricity grid. Even though the clinic has had its own solar power system since 1991 and for decades was the only place in the entire area with its own uninterruptible power supply, the connection to the public power grid is important as a reserve in case of technical problems with solar system or storage batteries. This was the case for several months at the end of 2018: the storage batteries had reached the end of their lifespan and had to be renewed. It took several months for the fault to be localized and for new batteries to be ordered, delivered and installed. Now, in case of technical problems with the solar system, it is easy to switch to the public electricity grid. 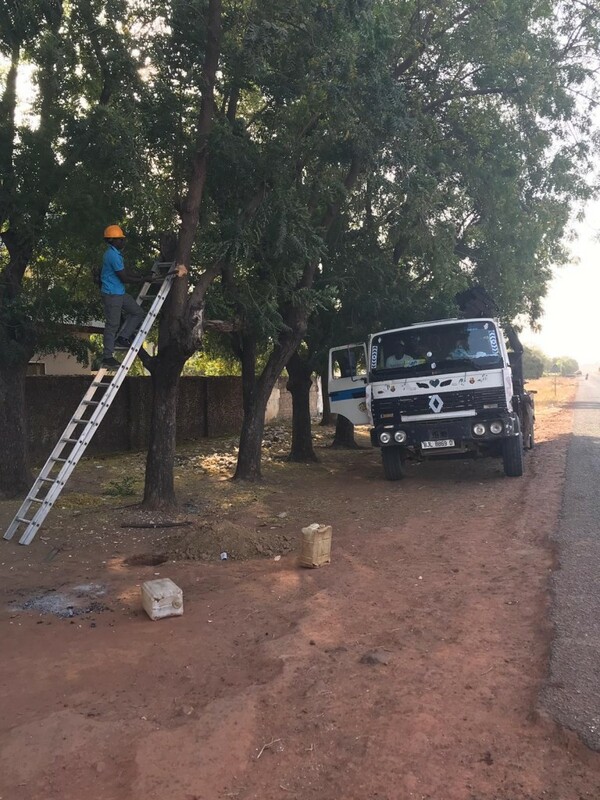 As early as the end of 2017, the overland power lines along the South Bank Road had arrived from the coastal region in Jahaly. 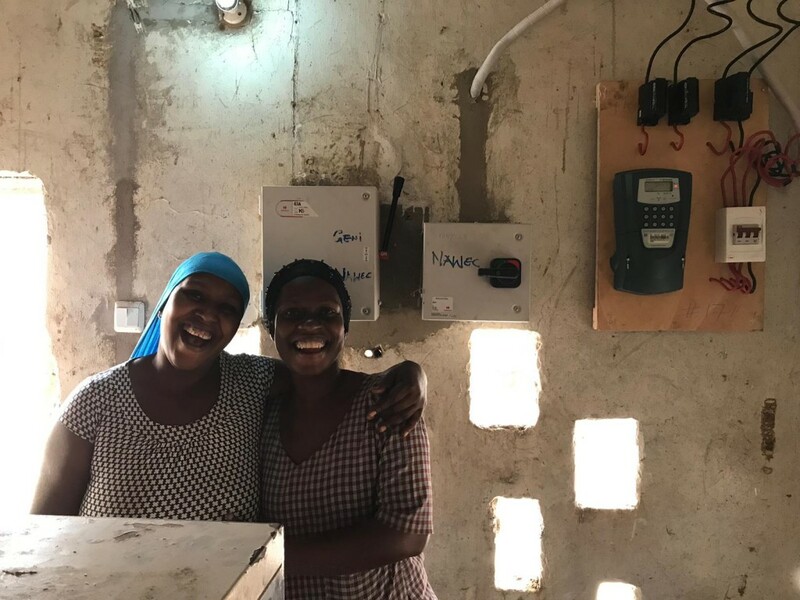 During 2018, some families in Jahaly who could afford it were connected to the grid. 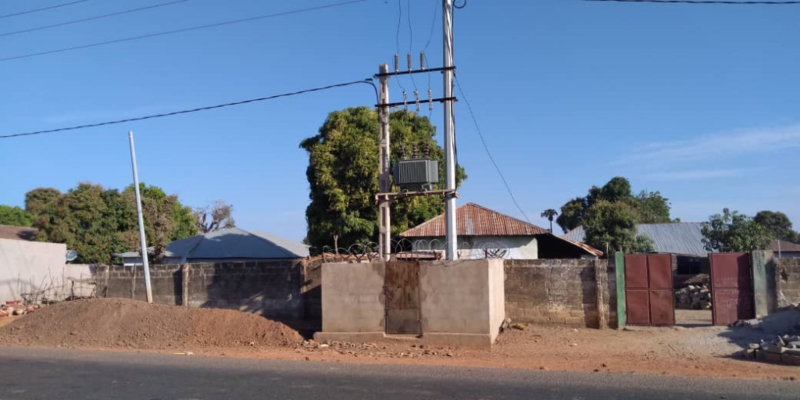 It was not until the middle of January 2019 that we noticed that the electricity subdistribution of the village ended at a power pole directly opposite the Jahaly Health Centre. 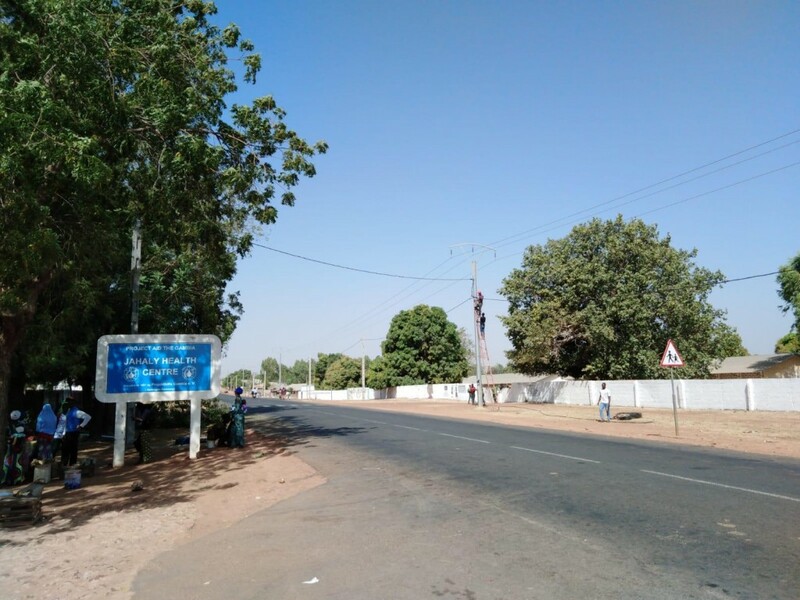 In an absolute record time of only two weeks, the power line was extended in cooperation with the Gambian electricity supplier Nawec over the highway to the project site and connected to the island network of the clinic and kindergarten. 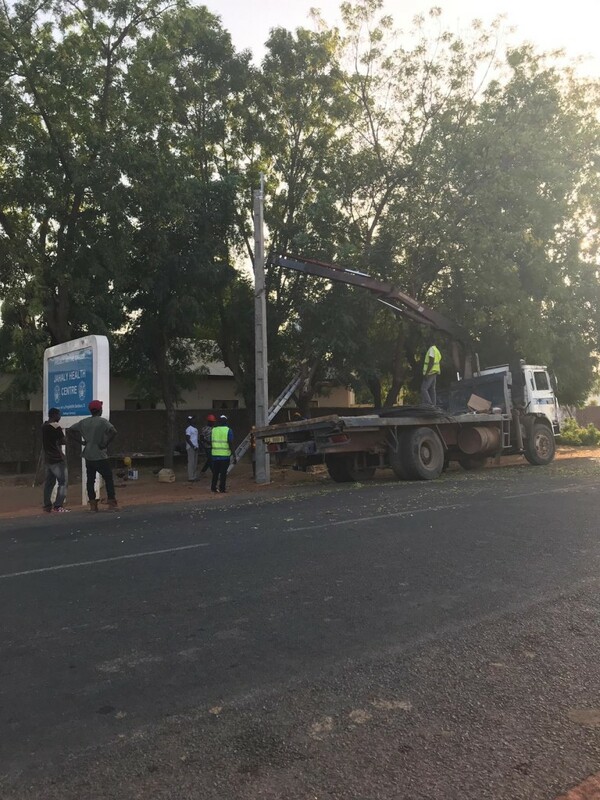 To do this, a large power pole had to be delivered by tractor-trailer to cross the highway and set up with a crane truck, the cables had to be laid and an electricity meter had to be installed. 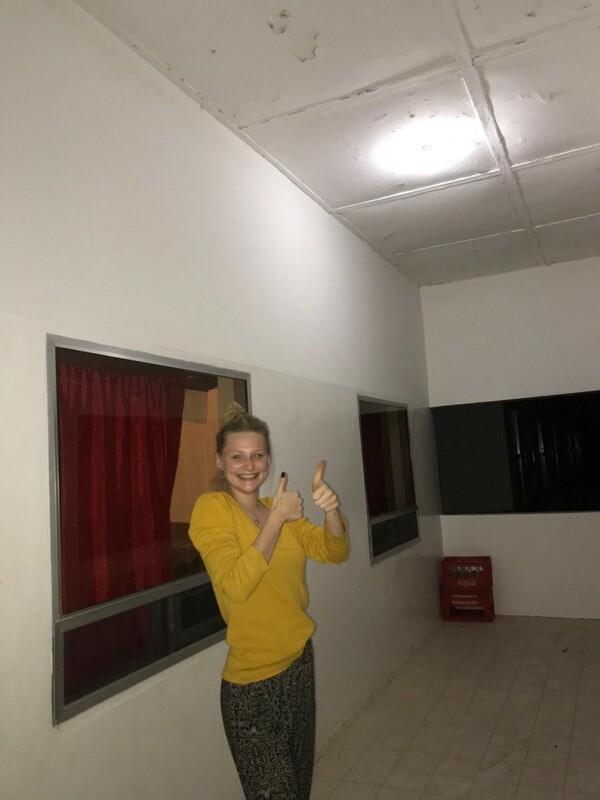 Without the many years of good contacts in The Gambia and without the active support of the electric company “General Engeneering” run by Charles M’bye, who is the chairman of Project Aid The Gambia, it would never have been that easy. Nocturnal births in the light of flashlights or cell phone lights are now a thing of the past. We are very happy.